Okay. So I swear I have been meaning to post pictures of this collection for like weeks now. It's been a little nuts over here, but I took today off of sewing to post pictures and blog about this new line of mine! I really like it a lot. It's got your basic V and Co. feel of a lot of blenders to be used across the board in all of your quilting and sewing projects! okay, but I also love these prints as well. This collection has a super fun sunny bright feel to it. And it's been really fun to work with. Another fun thing we have going on is the matching Aurifil thread to the line. 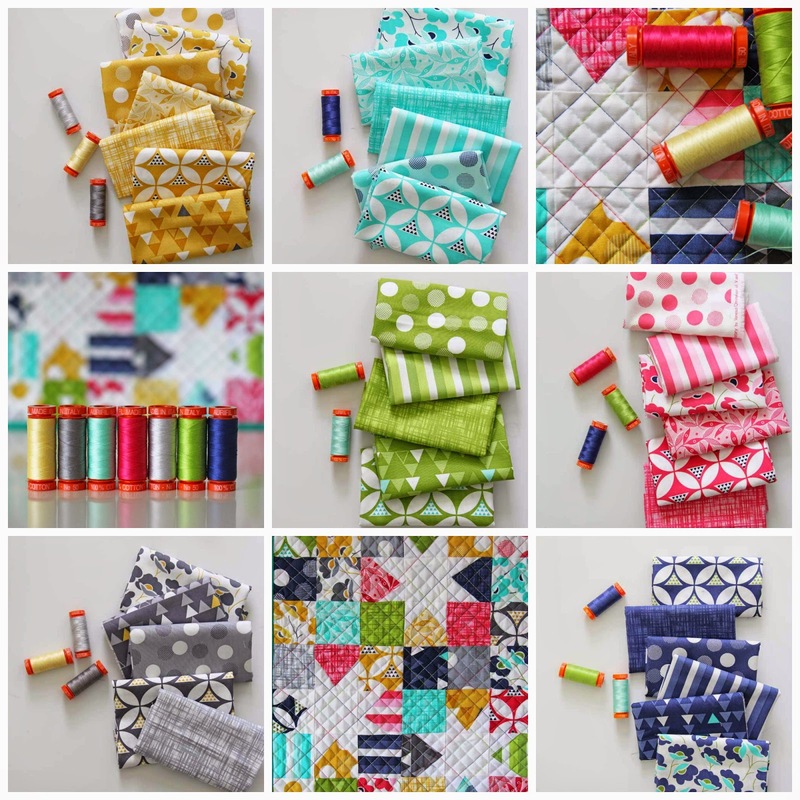 The thread box comes with 7 colors matching my collection, and it also comes with a precut of the fabric collection. 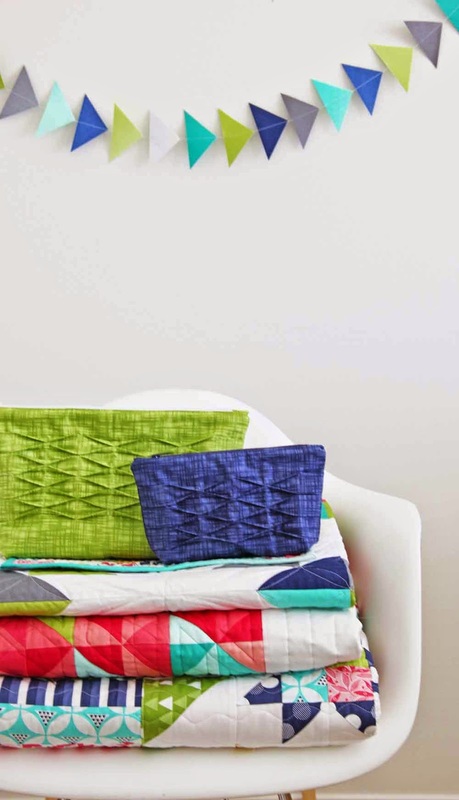 But not only that…it also comes with a free pattern to go with the fabric and thread. 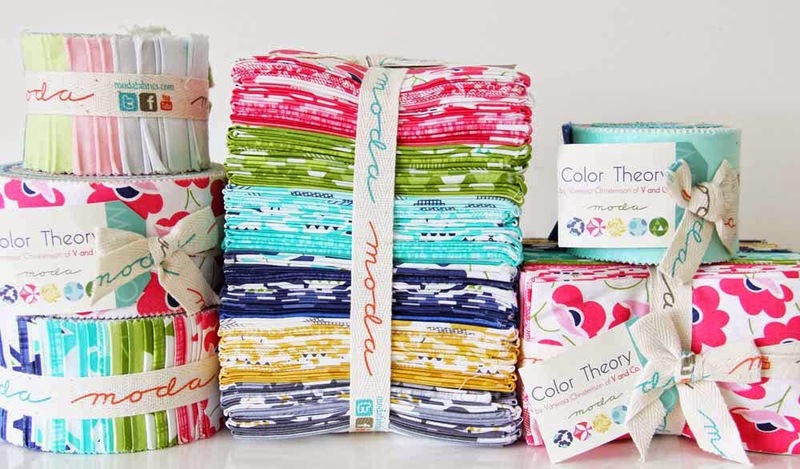 You can only exclusively get this through Moda Fabrics, so ask your rep to see what it's all about! This time around I had a little extra fun with my Ombre fabric. 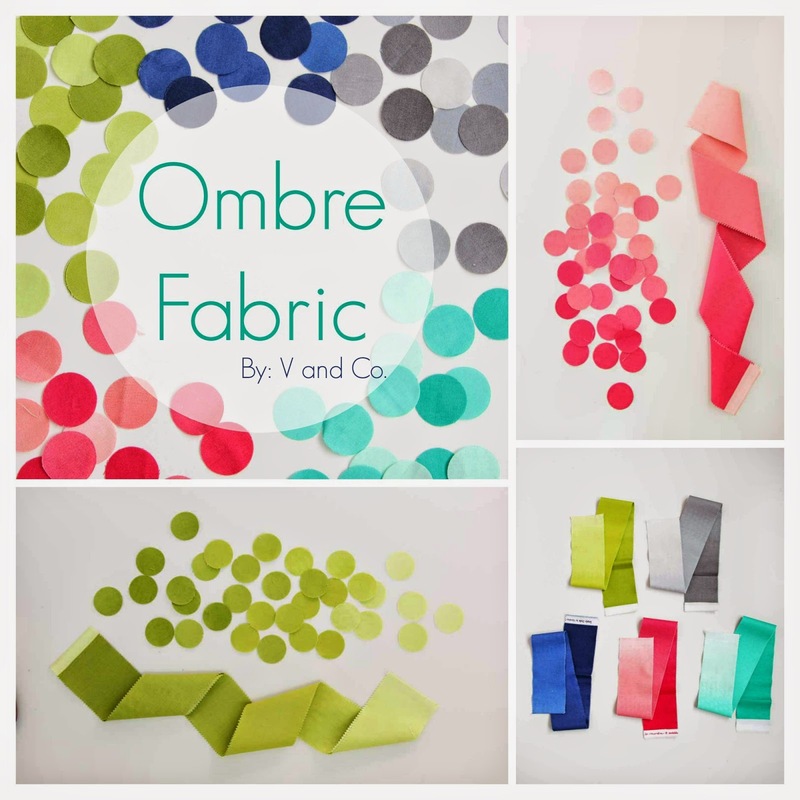 We created two patterns just with ombre. OH and remember those junior jelly rolls we had the first time around?? YEP! They are back! We switched out the aqua from before to a teal/peacock combo and it looks fantastic with the other colors. I'm kind of in love with them. 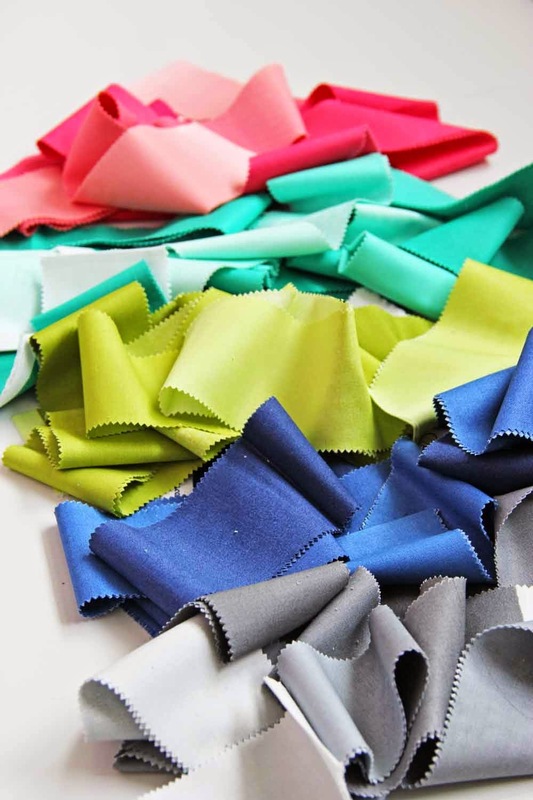 So many possibilities…What do you think you would make with the Gradient Ombre fabric? Okay, that's it for right this second…but next week I promise to show off the patterns that go with this fantastic line. I'M SO EXCITED TO SHOW YOU!!!!! :) Next week my friends! I made a dress with the gradient ombre last time....so since she just grew out of it, I probably will again! So pretty! Love the prints! I can't wait to see the patterns! Love the fabric! 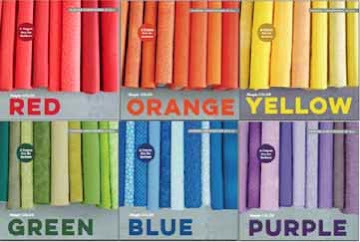 I love these fabrics, so bright and vibrant. I can't wait to get some of these! Yay! Really nice. Love the colors and patterns. Can't wait to see what you make! Love these! I can't wait to see the patterns. WOW, you hit it out of the ballpark with this collection! 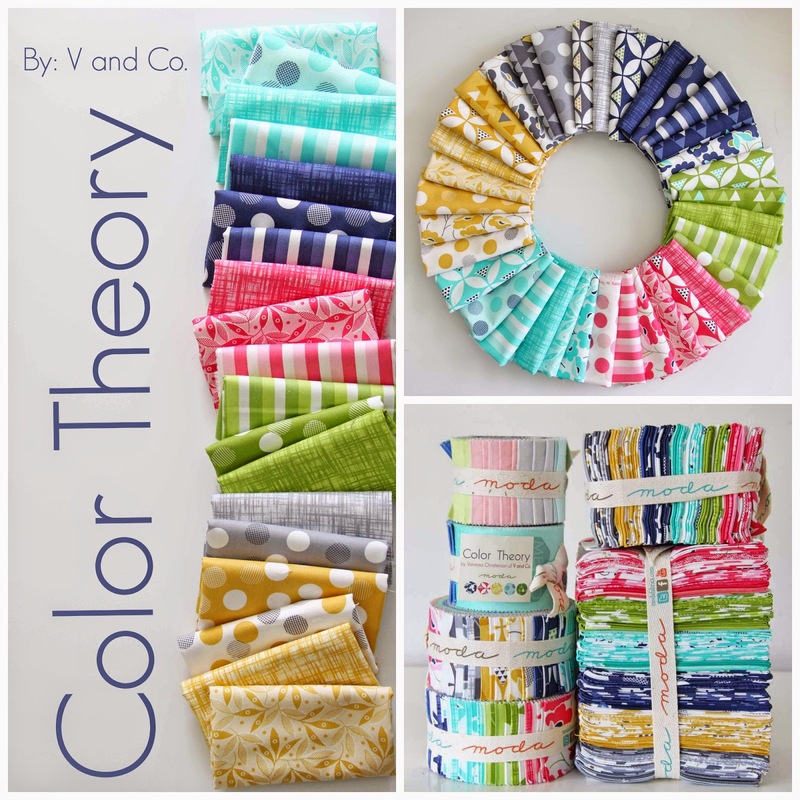 I thought I was done purchasing fabric for a while and then you debut Color Theory! Great prints and colors. I really like the little floral and geometric circles myself. I am really looking forward to seeing your patterns as I love your fabric range. Well done. I rally like that you do color basics without a ton of colors in each print. It makes it so much easier and fun to use the fabric. I'm thinking some of those darker blues would be great for a feathered star. Holy cow, I love every print. And solid! Holy Hannah bananas, what an awesome, drool worthy collection! Loving all the prints and those beautiful clear colours. 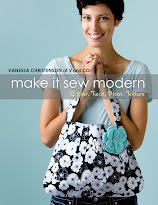 Thanks for all your fabulous designs, Vanessa. Best wishes from Down Under. Noodlehead's Poolside Lakeside tote shows off two of these prints -- with a sneak peek at a third -- sooo beautifully!! Wow this is a really gorgeous collection. Congratulations! Oh stop it, you are killing me! All of your fabrics are so gorgeous! I have only recently discovered your fabric lines and the more I see, the more I love. I'm supposed to be cutting down on my fabric buying but I just can't resist this line!.